December 20, 2014 December 20, 2014 Pilar B. A common misconception among Montessori skeptics is that there isn’t enough emphasis on teaching art in the Montessori classroom. If their definition of teaching art includes 25 children sitting together, making paintings that look almost exactly the same, based on the teacher’s original idea, then they are absolutely right: you will NEVER find this type of art instruction in a genuine Montessori environment. Zachary (2yr 11mo) concentrates while learning to glue toothpicks and glitter. 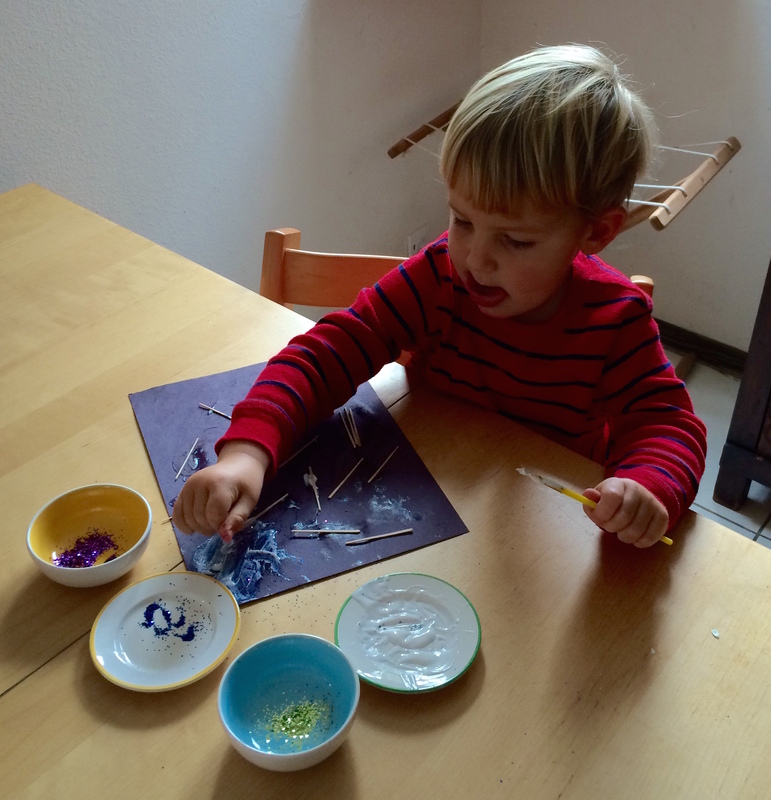 Art activities in the Montessori classroom are not meant to impress parents. Montessori artwork might never be featured on the wall of your local supermarket. Montessori art has a higher purpose: to support the child’s creative development. He can take as much time as he needs, incorporate skills from previous lessons, collaborate with others, and take risks. He’ll develop concentration through repetition, and will refine his motor skills. His artwork will never be graded, compared, or critiqued by the adults in the classroom. As with all Montessori materials, Montessori art activities are introduced as individual presentations in Primary and in small group lessons in Elementary. 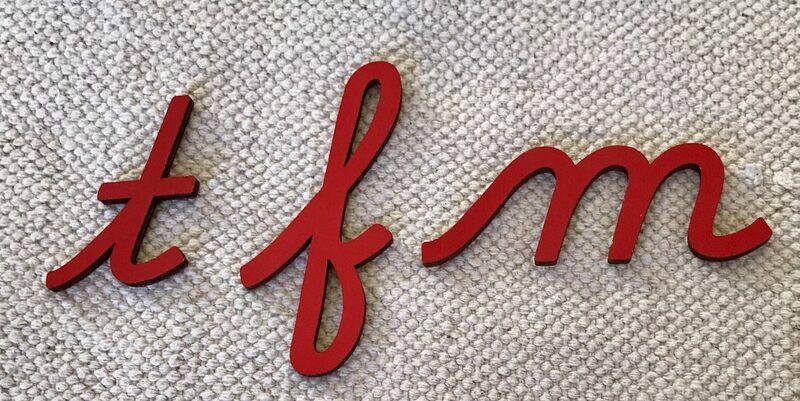 Emphasis is made on learning new techniques and working with care and precision; a specific end product is almost never highlighted (especially not in Primary). After the lesson is over, if the child doesn’t want to work with the material immediately, he’ll return it to the shelf, where it can be accessed at any time by any child who has had the presentation. Set up all the necessary tools and materials on a tray, including containers and clean-up items. Choose a place where the tray will be stored, which is accessible to your child. When you present the activity to your child, set out two pieces of paper: one for you (set up between you and the child) and another for the child, placed off to one corner of the work area to inspire him to begin working once the lesson is over. Point out that you’re going to have a turn first and when you’re finished, it’s his turn. Limit how much you talk and keep your movements slow and deliberate. Don’t talk as you are manipulating the materials, because the child might turn to look at you instead of your hands. If you need to explain something, do it before or after each step of the process. Keep techniques open-ended and don’t feel you need to show EVERY variation available. For example, if using clay, you can say: “This is one way of rolling a ball”. Let your child discover other ways when it’s his turn. Focus on introducing skills and techniques (“This is one way of gluing cotton onto paper.”) instead of trying to make something your child can identify (“I’m making a snowman.”), because his potential desire to copy your snowman will limit his creative experience. When you finish the lesson, decide if you’ll invite your child to work with it right away (best for young children) or whether you’ll show him how to clean up (suggested for some older children). Always remember to come back to show your child how to clean up! When you’re done with your artwork, take it with you. Leaving your version in front of your child limits his creativity and can make him feel discouraged if he decides his version is not as “good” as yours. When he finishes, if he seems interested in discussing his work, use descriptive language (“You really enjoyed making circles with the red crayon!”) instead of offering generic praise (“Good job!” or “That’s beautiful!”). For older children, you can also ask questions about their creative process (“What did you learn when you started mixing colors?”). Respect what the child wishes to do with his artwork once he’s done. He might want to give it away, feature it on the fridge, or even throw it away. There are no bad choices here (other than feeding it to the dog…). I hope these tips are helpful… Have fun!!! This is a great concise set of tips for focusing on art exploration! Wonderful!